SAN QUENTIN, Calif. -- A Los Angeles teaching assistant has been accused of trying to smuggle drugs and cellphones to an inmate condemned to San Quentin's death row for eight murders. Teri Nichols, 47, was accused of bringing 18 cellphones and chargers, two unidentified blue pills and almost 84 grams of heroin in when she went to visit inmate Bruce Millsap on Aug. 25. The items were discovered after Nichols was already in the visiting room with Millsap, prison officials said, and investigators are looking into how she was able to circumvent security measures to bring them inside San Quentin. When Nichols was in the visiting room with Millsap, prison officials say they noticed ziplock-style plastic bags in the room's trash can. Only Nichols and Millsap were in the room. They escorted Millsap out of the room and conducted a strip search, but say they found nothing on him. They then say Nichols consented to be searched and pulled an item from under her clothes that contained the contraband. She was brought to the Marin County Sheriff's Office and booked into jail. 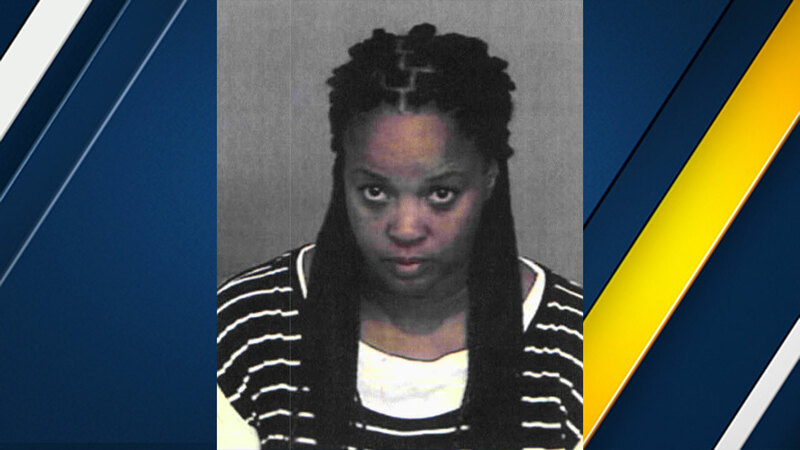 Nichols is a special education assistant in Los Angeles Unified School District and was re-assigned to a non-school site after the arrest, district officials said. "Nichols is not a teacher, and these allegations do not involve students," the district noted in a written statement. She was hired by LAUSD in 1992 as a substitute special education trainee and most recently worked at South East High School. She is expected to be arraigned on Sept. 13. Millsap and co-defendant Kendrick Loot were sentenced to death in 2000 for the robbery-murders of two armored car guards and a third man during a year-long crime spree in 1995-1996. Millsap was also convicted of five other killings, including a witness and another armored car guard, prompting Los Angeles Superior Court Judge J.D. Smith to comment at sentencing, "I've been around 46 years and I've never seen a case quite like this." Police investigators said the crew would sneak up behind the guards and execute them, never giving them a chance to surrender the cash unharmed.